When illness or injury strikes, you don’t have to surrender to it. There are things that you or your loved one can do to recover and/or maintain independence. Having to depend on others for support and assistance can be frustrating but it doesn’t have to be something that you resign yourself too. You can be prepared and recovery is possible. 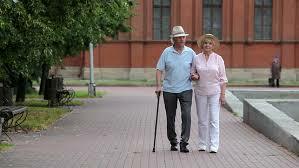 I have seen many people on the day after they are discharged home from the hospital or rehabilitation center. It is common for them to be exhausted. Some try to do too much that first evening home. A trip to the pharmacy, navigating stairs to enter the house, and then preparing dinner or cleaning up. Then they spend the next three days trying to recover from doing too much. I say give it time. It takes three days to recover for every day you were down. At least, this is what my rehab doctor told me. I thought I would prove him wrong, but he was right. I was in the hospital for 60 days, and I spent another nine months recovering at home before I was able to get back to work part-time. Of course, there were ups and downs during that time that extended my recovery, but the fact remains that your body requires time and attention to get better. I have been telling my clients for years that it takes three things to get better after being sick: Good rest, good nutrition, and good activity. Not necessarily in any one order. I suppose some days you will need more sleep and other days you will need to fulfill your physical therapy requirements. The truth is that you cannot ignore any one of these three without it causing you to fail to recover. Rather than focusing on what you have lost, if you want to recover, it is important to focus on what you are able to do. Keep doing what you can. Realize that any decision you make is a little bit of independence. Going to the grocery store with a Home Care Aide, HCA, to drive and push the cart means that you get to choose your own purchases. This choice is powerful. Giving the HCA a list and having them go for you, means that you have to trust they will spend your money wisely and they will not make a mistake when choosing the brand or quantity of anything on your list. Asking for help is not the same as admitting defeat. Help should allow you to maintain your course of recovery. An HCA can work alongside you to support you as you handle normal daily activities. Their involvement will lessen as you improve. Their work will ensure safety and encourage you as you meet your goals.